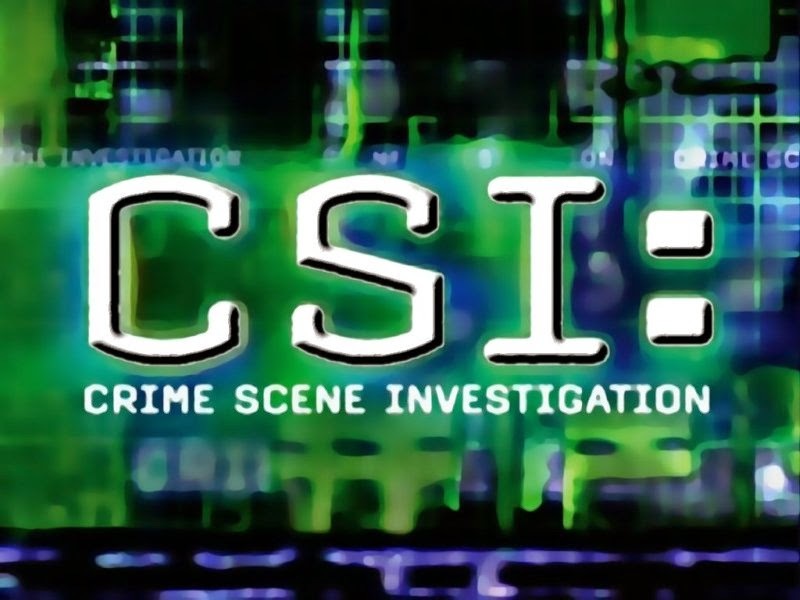 Have you ever watched CSI? I know a Crime Scene Investigator personally. He specializes in retrieving evidence from computers, phones, and video cameras. The path he took to becoming what I would call a 'Crime Scene Investigator' is pretty interesting. This guy always struggled with school growing up. He barely passed Grade 12 and wasn't keen on getting back into school - except he had a dream. He wanted to be a police officer. Looking into the admission requirements for the RCMP and several municipal police departments, he was very discouraged to discover that his eyesight automatically disqualified him for admission. Having lived and worked on his own for a while by this time, he had learned to value time and money and realized that going back to school would be an investment in his future. He did a thorough investigation of schools that offered diplomas in Criminal Justice, found three that he liked and applied to all three. He was surprised to receive acceptance letters from all three schools despite his high school transcript (Post Secondary institutions tend to be more willing to accept students who've had a bit of life experience - I've seen this across the board, irrespective of school and career type). Wanting to get the most out of his investment, he decided on a smaller college that had smaller class sizes. The program at this school focused on Criminal Justice and he didn't have to waste time and money taking general studies courses. Also, the program's faculty actually worked in the CJ system - they weren't all academics. School was still a challenge. He had to quit the college volleyball team to keep his marks up. He had to study constantly and had post-it study notes everywhere. I remember seeing them all over the inside of his car. All the hard work paid off, though. In two years he successfully got his diploma, and discovered that he could parlay those course credits into a Criminal Justice degree by taking one more year of school at a partner university. He took advantage of this (and a scholarship) and graduated with a CJ degree a year later. A CJ degree didn't solve the eyesight problem, though. Police departments still wouldn't look at his application. At a bit of a loss, yet encouraged by his success in school, he decided to continue his education in a different field. 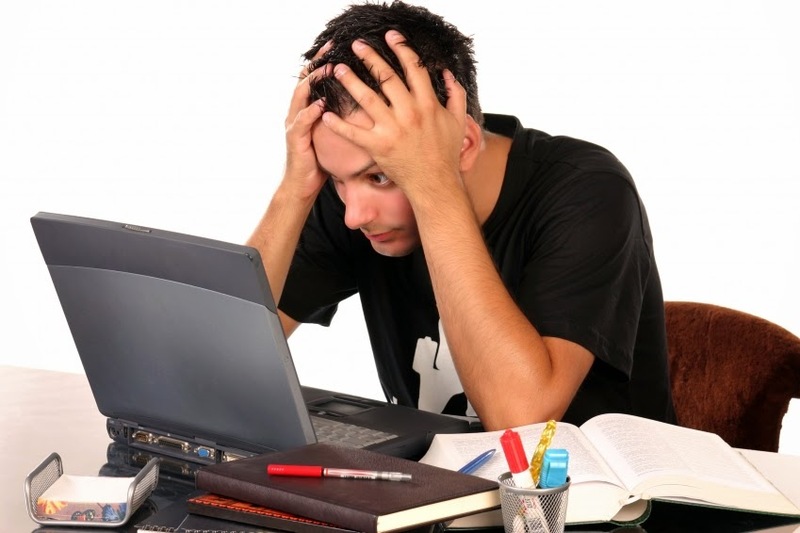 He saw an advert on TV for a local IT school which claimed to have students ready for the industry in 9 months. The Information Technology sector was booming and IT workers were getting paid a premium at the time. Curious, he went to the local school, got a tour, submitted an application, and got accepted all in the course of two weeks. 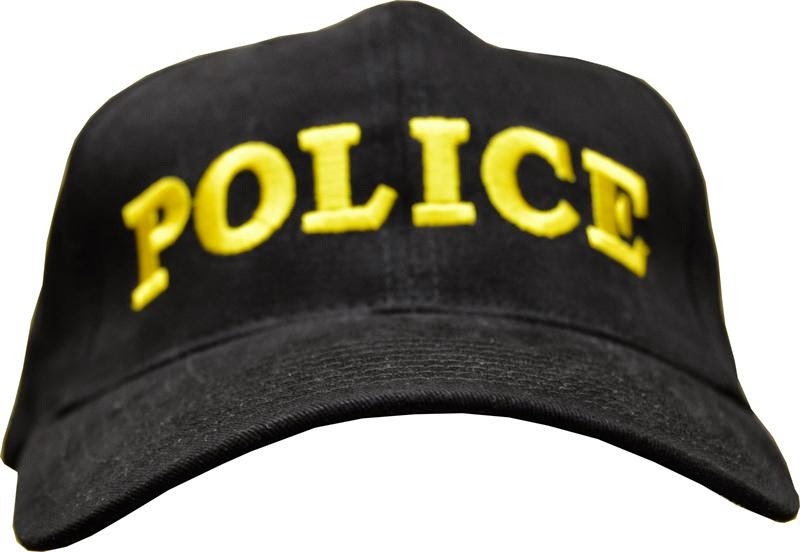 Nine months later, our wanna-be policeman had two significant job offers which completely validated all the time, effort, and money he had been spending on education. He accepted an opportunity working in Europe and spent a year there working in IT. While he was there, he travelled - for work and for pleasure - and he loved it. What he discovered though, was he didn't enjoy all the time spent on a computer in a cubicle. He is a hands-on, practical type of guy and sitting in front of a computer all day wasn't his dream - even if it paid well. He moved back to Canada, got work at a local IT firm, and submitted his application to the local police department. Through a series of administrative blunders, they lost his application. Fifteen months later after he pestered them for a status update, it was found. By this time, the local IT firm had been bought, and our prospective policeman had taken his earnings from the buy out, paid off the remainder of his student debt, and got his eyesight corrected with laser surgery. Accomplishing his dream, a policeman at last, he spent 6 years on the beat in a patrol car, loving every minute of it. The police force that hired him allows officers to diversify into different fields after 6 years on the beat. While working the beat was right up his alley, shift work was not and he consequently looked for an opportunity to work regular hours. Because of his IT experience, he was able to meet and 'talk shop' with guys in the computer crime unit (who worked regular hours). When a position came up in that department, he applied for it and was accepted. He loves his job now. In his current position, he works 4 days week, 10 hour days, and receives state of the art training. When he retires from the force, he will easily be able to transition to an IT security consultant with his expertise. This guy didn't give up. A bunch of things stood in the way of his dream, but he found a way around them. The challenges, experiences, and opportunities he's had along the way have built his confidence, made him stronger and more diversified, and given him a greater sense of accomplishment. To read other career profiles check out my Career Path Profiles page here. Steve is in the green shirt. I'm in white. My family met Steve on our summer vacation in 2013. We were looking at spending an afternoon sailing on the Sechelt Inlet and the local Visitor Information Office highly recommended BC Sail Tours - Steve's company. We sailed with him for an afternoon and discovered that he also pilots a float plane part-time with with a local airline called Tofino Air! Can you imagine - Sailing and flying as a career? That's what I'm talking about. It wasn't all 'smooth sailing' (pardon the pun) for Steve, though. He had to make some sacrifices to get to a point where he had his own boat and had the flight hours to fly commercially. I don't remember all the details, but he was telling us stories of how he was 'quite busy' working and living extremely frugally to get money so that he could pay for flight hours to get his license. Steve has a Master Limited 60 Ton Captain's License and has sailed over 20,000 miles in South America, Hawaii, and North America. He fondly remembers surfing waves while sailing to Hawaii. He's also been flying float planes commercially for the past 12 years. 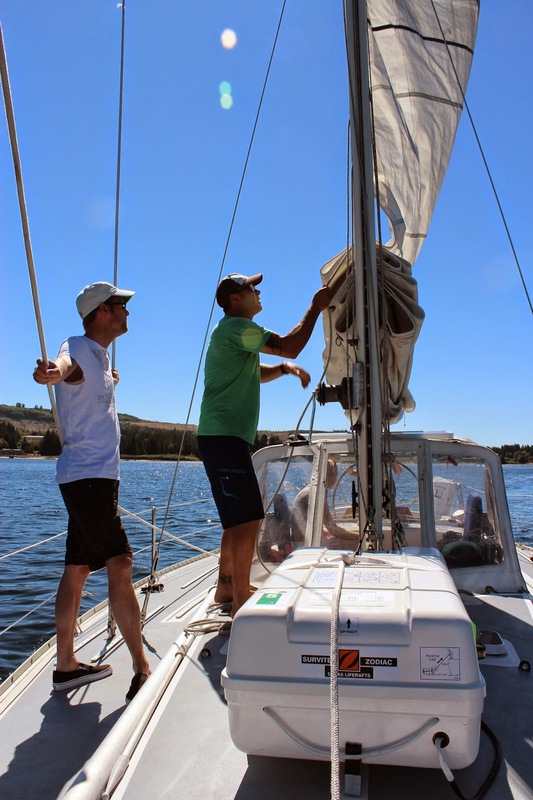 Teach sailing. My previous manager did this for extra money during his summer holidays. Work on a Cruise Ship - you don't even need sailing experience for this. They are looking for Cooks, Musicians, Event coordinators, Childcare workers, Life guards, etc. How to Survive, Thrive, and Have Fun in the Big Leagues. Most of the content for this first part of the book comes from Ben's life experiences. I loved the profusion of real stories, nicknames, and lessons in this section. A lot of things I believe in (attitude at work, avoiding pitfalls, and thinking big) were affirmed while I read this section. I also got a new perspective on leadership, and the financial industry. How to Choose, Get, and Do a Great Job. The second section didn't have as many anecdotes and was much more practical in nature. Ben offer's some great examples and advice on how to prepare for your first career opportunity out of school. He focuses on interviews, networking, and courtesy as means to get your foot in the door of that first job. While the book does not focus much on the advantages and disadvantages of different types of careers, it does give valuable instruction and advice that is applicable for everyone irrespective of the career one chooses. I'd highly recommend reading it if you are considering a career in sales, finance, or banking. If you are floundering to find you place in this world, perhaps you aren't putting your heart into what you're doing. You must be committed to whatever you find yourself doing. Put some skin in the game - act like you care. What do I mean by having some 'skin in the game?' Make a commitment to something and put your heart into it. Make a decision about that relationship, that education, that trip, or that job and stick to it. Get decisive. Be responsible for yourself. Pay all your own bills. Stop living at home. Once you put a stake in the ground, pledge yourself to it, and believe, you'll find that other things start to come into focus. For me, getting married and having multiple dependents along with a mortgage helped me find a lot of clarity fast. That's a huge commitment and a lot of lost 'freedom' though. Several years before making that commitment, I discovered that travelling alone also helped me discover perspective and direction. Going forward, DO things - don't try them. Get involved, get engaged, get dirty, put your heart into it, loose some skin, and see what happens. Bruce Kasanoff has written a couple of interesting articles (part 1 and part 2) about the science behind the most successful careers. While they offer a somewhat different perspective, I think they substantiate my comments above. This well researched book is packed with the experiences and thoughts of 32 successful people like Anderson Cooper, Eva Longoria, Sara Blakely, and more. Most chapters in the book are about one person and have two parts - Katherine's thoughts on her interview with that person, and the interview itself. 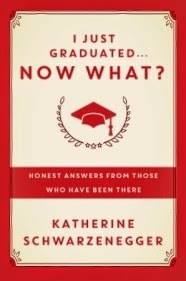 Katherine's thoughts are significant because she wrote this book as a recent graduate - essentially living the title while she wrote it. One could not assimilate all the lessons and advice in this book in a single read. Fortunately, the format of the book allows the reader to (for the most part) randomly choose chapters and read them individually - a valuable attribute for a reader like me. Reading this book made me again consider the question 'What does success mean to me?' Every graduate must find their own definition for success and then continue scrutinizing and evolving that definition as life goes on. I got a digest sized copy of this book from the Library. It had about 280 pages and I found it to be a medium length read. I took the Holland Code Quiz today. On the site I used it was free and took about 5-10 minutes. Realistic - These people like to work with their hands. They are practical and would rather get something done than talk about it or learn about the theory behind it. I'd categorize the jobs aligned with this category as trade/journeyman related. Artistic - These creative and inventive people tend to be emotionally driven and abstract. They avoid structure and rules and follow their heart. Writers, visual communicators and designers populate this category. Social - This work personality likes to talk thinks out, teach, and work with people. Careers in this category seemed inclined to teaching, administration, and therapy. Enterprising - Effective communicators land in this category, along with entrepreneurs and leaders. This group likes to work with people and data. Jobs related to this category appear to be directors and mangers. Conventional - Precision and attention to detail are key motivators in this group. They value order and status. Data entry related positions fill out the majority of the jobs in this category. Realistic (12) - Considering I worked as a printing pressman on a number of different presses for almost a decade, this makes sense. Investigative (8) - My current full-time work is as a computer consultant (software) so I can't argue with this result either. Enterprising (4) - not much argument here. I wonder based on my results if a person's results can change over time... Can there is an evolution or migration from one category to another? I guess I'll have to read 'Making Vocational Choices' by John Holland (2005) to find out. 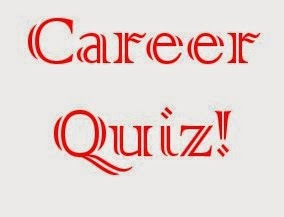 I remember taking a similar, more extensive 'quiz' in high school and a couple of the jobs that were a 'good fit' for me back then were plumbing and firefighting. Its interesting that those results line up pretty close to my high 'Realistic' score today. In conclusion, there definitely seems to be some value here. Don't discount the results of career or personality tests you take (I did, long ago). Mind you, I wouldn't take them as 'the Bible' either. I'm not really comfortable with being labelled or put in a box so easily. My Advice? Seriously consider your results and get creative in seeing how you can fit them into career possibilities. This was a fantastic book. I bought a medium sized soft cover (around 280 pages) based on a recommendation from my pastor. Staying true to her definition of 'fierce', the author doesn't mince words or hesitate in getting to the heart of the matter when it comes to conversations. And since Susan Scott believes 'the conversation is a relationship' and 'conversations aren't just with others, they are also with yourself', the book is a superb resource for young adults trying to figure out who they are and where they are going. Most of the chapters have brilliant, real life anecdotes as well as exercises to try. The book is so full of great suggestions to implement in conversations that I was almost overwhelmed with where to begin when I finished it. The author thoughtfully provided a user guide at the back to help with this. 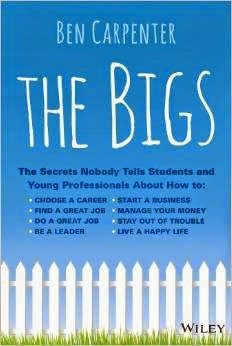 The only drawback I found for a young graduate would be that the book was originally targeted to a business audience. Don't let that deter you, though. The stories and lessons are still applicable. I will be reading this book multiple times in the next few years. It was the best $17.50 CAD I've spent on a book in a while. What Career Will Give Me Good Wages? Want to know a job to look for that will give you a good salary? Check out this chart. This is data from 2013 of national average annual earnings for careers in the USA from the Bureau of Labour Statistics. 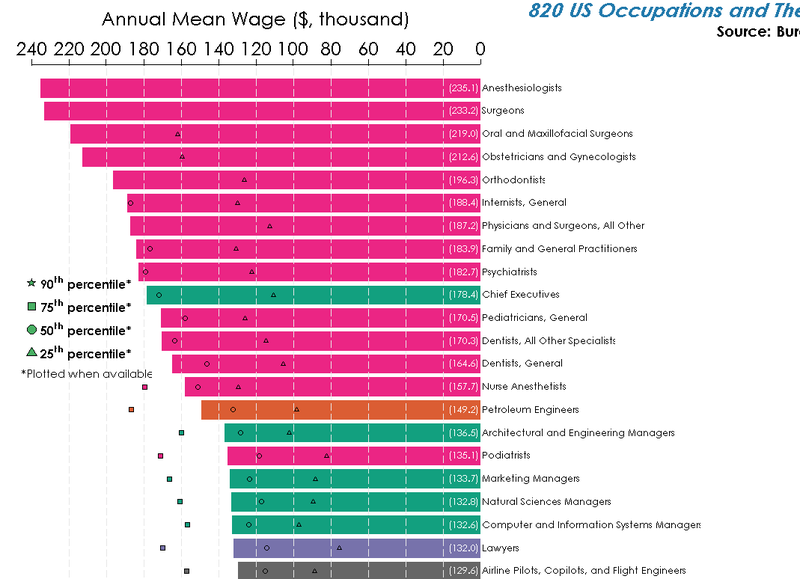 Its interesting to note how much medical related jobs figure in the top part of this list (earning more than $175,000 per year). Click the image above to see the entire list of jobs and wages. There are 820 of them - it's pretty exhaustive. Graduate - Can You Find the 'Right Career'? Another link: Follow Your Skills Instead of Your Passion. I'm not sure I agree with all the points Jeffrey Katzenberg is making, however I definitely think there is value in being pragmatic in finding the 'Right Career'. Don't ignore your skill set and get blinded by your passion. Also, don't misinterpret what 'skill set' means! Your 'soft skills' like being personable, carrying on a relaxed conversation, showing an interest in people, being able to listen effectively, being able to write a clear, concise email - these skills are so underrated and undervalued its not even funny. 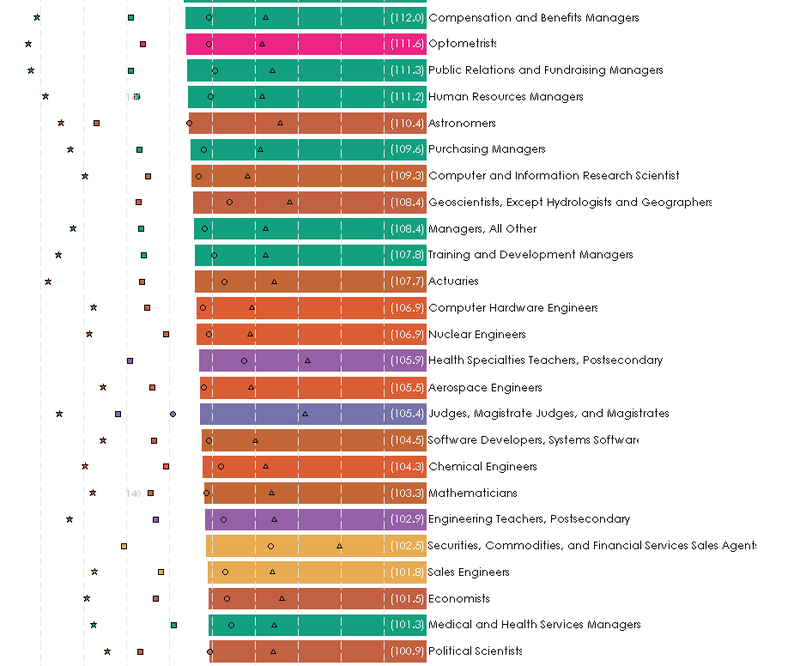 This is a pretty exhaustive list of 454 jobs that includes average renumeration, a value for meaning/purpose, stress factor, satisfaction, education level, male vs. female placement, and typical level of education required. Lets face it - post secondary educations are an investment. I've mentioned this before on my blog in this post. Some of you may not be ready to face a post-secondary education right out of high school. I wasn't. But when you do get to that point, you need to consider it as an investment. You will be expending considerable resources (time & money) to purchase an education that will hopefully get you a good career. You never know what might happen one plain old day at work that will change you life. Lay a good foundation of work ethics and principals and when the unexpected happens, you never know where it will take you. My hairdresser was working early this year, a normal day in a normal shopping plaza when suddenly 3 big guys came into the salon and asked if there was a room where a 'high-profile' client could get a hair cut. After some discussion, they agreed on a room in the back and said that they would return in a hour with 'the client.' Some time later they return with the rest of their security team and the Prime Minister of Canada. He wanted a trim. My hairdresser was happy to oblige. I think this might have something to do with why she is charging more now :-) You can make it big in the hair industry based on whose hair you've styled, from what i understand. Almost 10 years ago now, I was riding public transit to work and saw an advert for a software development course at the local technical college. On a whim, I thought I'd email them and see if they needed any instructors. That email got forwarded to the coordinator for the department who ended up being a teacher of mine from the past. He offered me an opportunity on the spot, and I've been teaching here ever since and loving it! 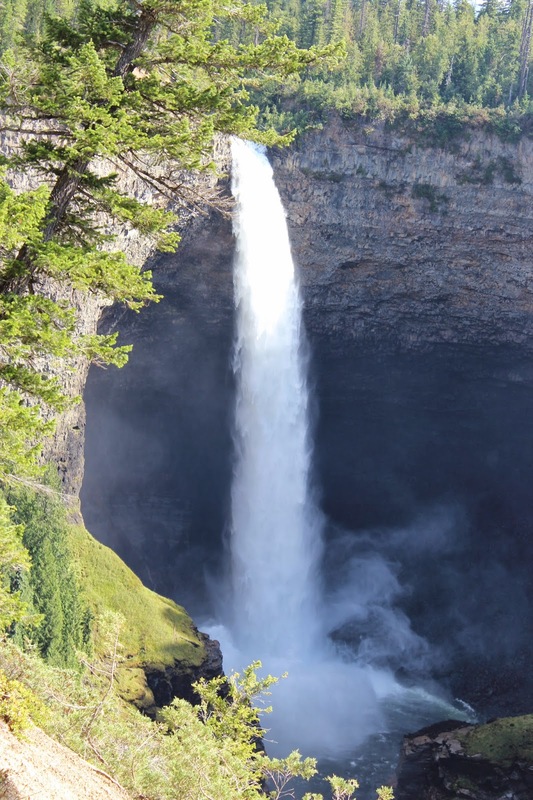 20 to 30 years ago, software development was generally executed using a development practice called 'Waterfall.' It got this name because it was very sequential and hardly ever went back to revisit previous decisions that had been made. Essentially it worked like this - like water in a waterfall, once you started the various phases of the project, you didn't hesitate, look back, or stop until everything was done. Then the product was passed onto the next phase/department for their work. I think many young people today default to a 'Waterfall' strategy when it comes to their education and career. 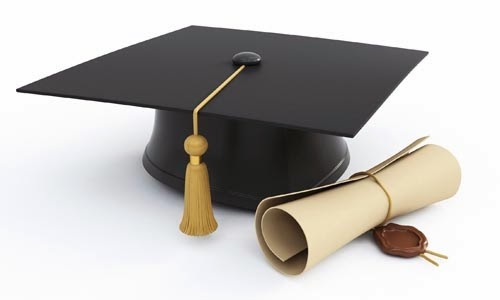 Some people can focus on becoming a doctor or astrophysicist and the have the resources, the stamina, and the smarts to get the education required for it. However, this approach assumes that you're guaranteed a job that meets all your expectations when you finish you education. But how often does that happen? Hardly ever. Young people today are practically gambling their time and resources on an education that was based on a guess or a whim. But the decision wasn't followed with a thorough investigation or analysis. The software development community solved their problem by changing their development processes from 'Waterfall' to 'Iterative'. An iterative solution basically means having smaller plans with shorter time frames, execute them, and then test to see if your happy with the results - and do this multiple times. Each planning/execution/testing/review cycle is called an iteration. To sum it up - How do you eat an elephant? One bite at a time. Using the 'Iterative' approach, young people could evaluate and test their assumptions to see where they are at in their education and career development on a yearly basis. Clayton Christensen in How Will You Measure Your Life suggests young people consider this type of solution for the 'Waterfall' problem (see the chapter: The Balance of Calculation and Serendipity). Take a step and then evaluate. Even an aspiring doctor or astronaut with a multi-year plan can use this approach to continually evaluate and confirm that they are on the right track. Iterative Resolution - Try to find some value early in your education and career choice - in other words, go on an early internship. A year or two into school, get a job in your chosen field and see what its like. Or alternatively, get some experience as a volunteer in what you'd like to do. There more about finding value that just remuneration. Teach what you learned to someone else. Practically give what you've learned away with a humanitarian outreach in another country. There's always options if you are motivated enough to look for them. Iterative Resolution - Evaluate your experiences in trying to realize some early value on a regular basis (annually?). Did you enjoy the work and what you learned? Were you pleasantly surprised by anything? Are you making any assumptions about your career or about yourself in your current plan? What are they? (For example: Can you work shift work for the rest of your life? or Do you want to work outside in the elements for the rest of your life?) Ask people questions while you're working as an intern! Question like.. Why did you choose this career? Do you still enjoy it? Why or why not? What do you like best about this job? What do you dislike the most? And finally, consider and confirm if your education and career choice is still valid or if you need to tweak things or try something else. Has something different piqued your interest? Waterfall Issue - Requirements for the project may have changed during your build. Iterative Resolution - This involves more scrutiny of assumptions you may have made - perhaps they weren't even assumptions at the time. 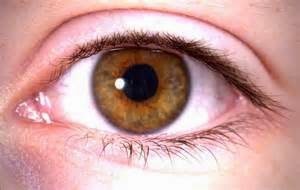 For example, what if NASA changed requirements for all astronauts to have 20/40 vision while you were getting your BSc and you've only got 20/20 vision? Or, what if geologists were in high demand when you went into school and the price of oil was $160 a barrel, but now they are all getting laid off because there's an oil glut because of fracking. Or, what if you started a computer science degree focusing on the Visual Basic language, and now the industry has evolved to using Java and C# and you won't be able to get a job with only VB experience? You need to continually assess the path you are on to see if the original plan (or requirements) you had are still true. Iterative Resolution - Take a break from 'the plan' and look at where you are headed. Perhaps there are changes that are happening within yourself the might give you pause. Will your plan need to change because your health or what you believe has changed? Are there other factors that need consideration - are relationships getting sidelined because they are in the way of your goal. What is more important? Consider trying two different options in parallel for a while. Change you plan if you have to. Be flexible. Iterative Resolution - Don't gamble all your money, time, and resources into one plan. Experiment. Take a one year, hands on course in something practical that you like. Work in that field for a bit (a year or so) and evaluate. Is this something you could continue doing? Is there something out there that is more interesting or that you are more passionate about? If so, take a course in that. Poke, poke. Test the waters. Or alternatively, head down the road of that one big plan, but stop along the way and verify that your still on the right road for you. Has something changed in your understanding of this career that concerns you? Always, continually evaluate and verify, tweak and experiment. What Are You Agreeing to, Grads? What I do with these thoughts makes all the difference. If I choose to 'agree' with them, throw a little pity party and think 'Yeah, that must be it. I don't really make a difference, I don't count', it leads no where good or productive. A dead end. 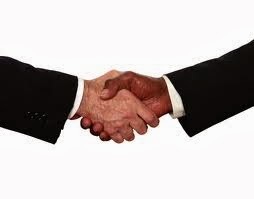 An agreement is defined as 'harmony or accordance in opinion or feeling.' I might have felt that way about my situation, but it is a bad thing for me to agree in my mind to the statement that 'I am a nobody and I don't count.' What I think and what I say (even just to myself) has more influence than we can imagine. Please be very wary and careful about the thoughts that you decide to 'agree' with. Perhaps in the future, when I finally finish writing my book, it sells big, and I've made a bit of a name for myself, I'll start a school. It will be a school targeted at young people just out of high school or in the middle of college. It will be about getting a 'different' education. Learning to learn for yourself. Getting and gaining experiences you wouldn't have otherwise considered. Expanding your horizons to get a better idea of who you truly are and what your potential is. Read and write a book report on Feel the Fear.. and Do It Anyway by Susan Jeffers PhD. Play Monopoly with real money! Discover how much chance/providence has an impact on your financial planning. Learn to manage your money. Play the 'Trade Up' game. Start with a paper clip. In a week see what you can trade that up to using your wits, connections, and integrity. Go on outing with no food or money and asked to accomplish a task that requires both. Given a sudden weekend trip with little time to pack or prepare for it. Perhaps a survival camping trip? Thrown into a real world job situation - high stress, people depending on you with expectations changing all the time. (Waitress/waiter at a restaurant, for example) How do you adapt? What did you like and or dislike about it? Discover Your World. Everything is a learning experience. Organize your own trip to the Middle East. Required reading on that trip? The Pulitzer Prize winning book 'The Prize'. Organize a working interview with someone in a career you think you'd fit into. Answer questions like: Do you know what you'd like to do for a career? Why or why not? What do you think you would be good at? Do renumeration or outside pressure influence your current career decisions? Do I want to get married? When? Why not sooner or later? Do I want to have kids? When? Why? What is my current career plan? What careers seem to interest me? Why? What would be a dream job of mine? Why would it be my dream job? What are my education aspirations? Who was my favorite teacher growing up? Why? What was my favorite subject growing up? Why? Would I like to travel in the future? Where? Why there? How long would I go for? What would I do while I'm there? Read and do the questionnaire for The Strength Finder by Tim Rath. Following that answer questions about how you felt about the results of the questionnaire. Would you consider those your strengths? Why or why not? 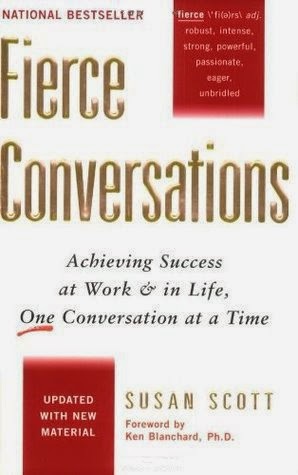 Read the book Fierce Conversations by Susan Scott and do the exercises she gives throughout the book. 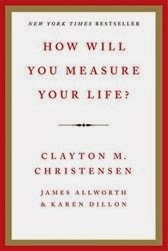 How Will You Measure Your Life is a great read for young adults and recent grads. Drawing from his wealth of experience in a variety of fields, Mr. Christensen effectively uses real life business dilemmas, personal anecdotes, and history to challenge the reader in thinking about their future career, family life, and values. This New York Times Bestseller is almost 220 pages and offers some innovative thoughts on how to make career choices, how to engineer your career for success, and how to raise a family. The book is in 3 parts: Finding Happiness in Your Career, Finding Happiness in Your Relationships, and Staying Out of Jail (this one probably influenced by the fact that one of Clayton's classmates was jailed for his role in the Enron scandal. I'd highly recommend this book and give it a 4.5 out of 5.